There are few things as useful in this world as a good sharp knife. Humanity’s second oldest tool behind a large rock used as a hammer I never leave the house without one. 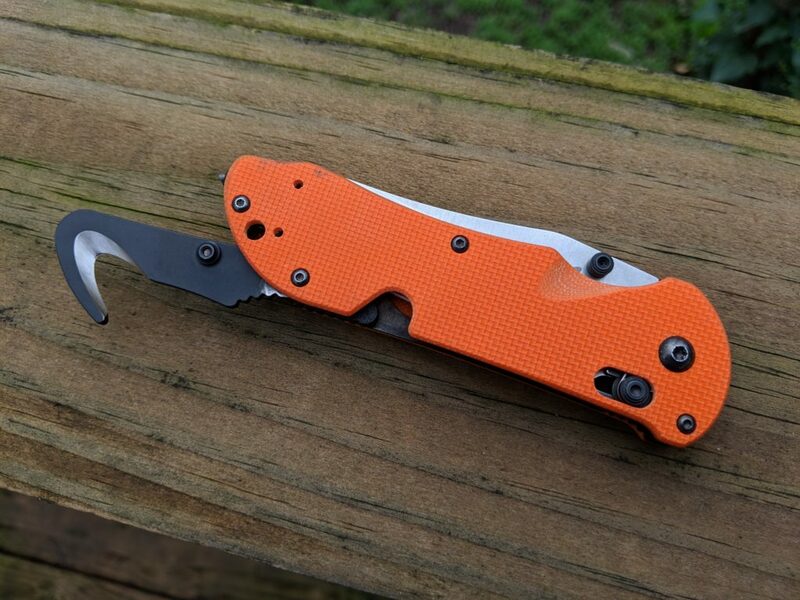 For pilots who might find themselves needing to escape from a downed aircraft or just cut some new tie-downs for their aircraft the Benchmade Triage 915 (or the current equivalent) might be a good choice. First, is it legal to carry a knife on an airplane? Not if you’re on a commercial flight, but if you’re flying a general aviation aircraft then it’s really up to the pilot and the local laws. If it’s legal in a car in your area then it’s legal in an airplane. Here in Texas that means pretty much anything goes. 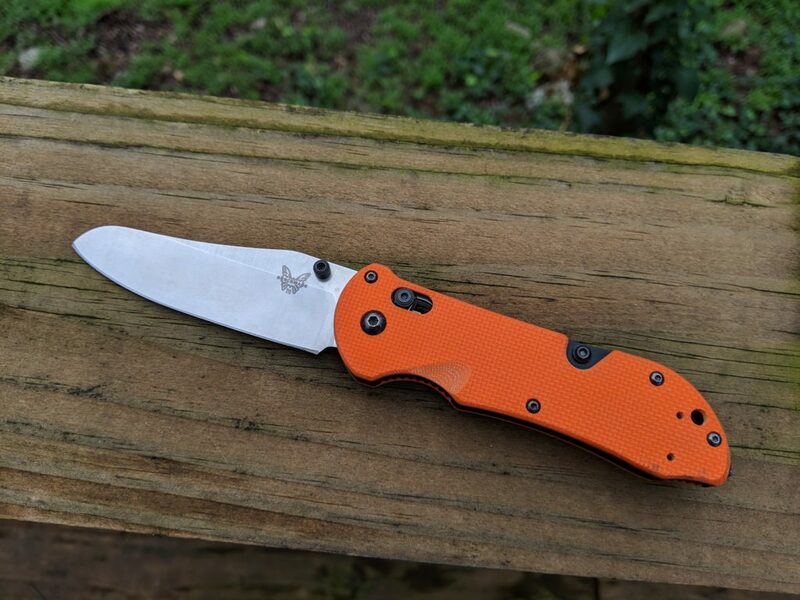 I picked this Benchmade Triage 915 up back when I was an EMT in Fairfax County, Virginia. It had a lot of features that made it easier to extract people from car accidents without needing to break out the full kit from the truck in addition to doing a damn fine job as a normal knife. Those same features that make it great for cutting people out of car accidents also might make it great for escaping from downed aircraft. First things first, the knife. The blade of this knife is made from N860 stainless steel, which is a variety specifically formulated to resist corrosion even in salt water. It is further treated in their 57-59 HRc hardening process that produces a tough blade that stands up to abuse and maintains an edge even under heavy use. Helping it suffer that abuse is the fact that it’s a chunky design, thick and hefty to help prevent snapping and bending. Why would you need a knife while flying? Mainly for things on the ground in my experience. A lot of work with tie downs, whether you’re making new ones out of twine or trying to free your aircraft from some sisal rope that has decided it doesn’t want to release your plane a knife comes in handy. That’s in addition to all the normal things you’d use a knife for. 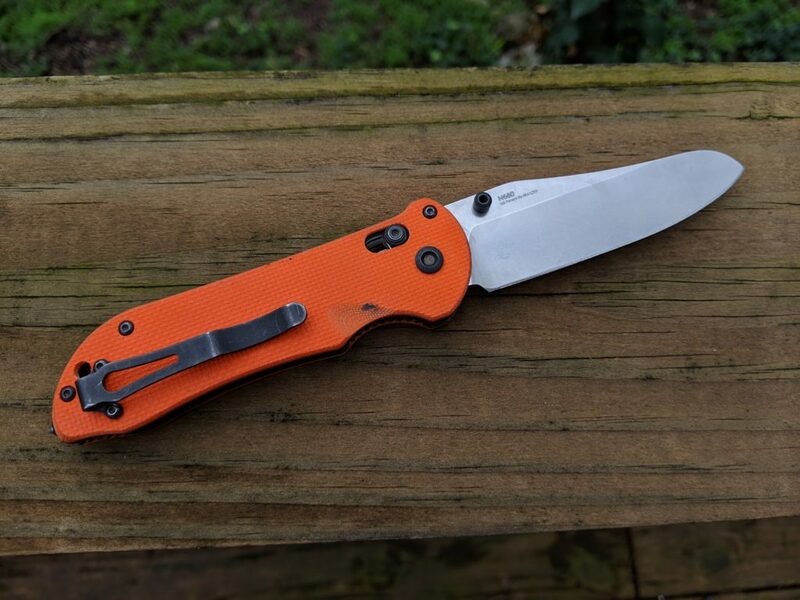 I really like Benchmade’s locking system. 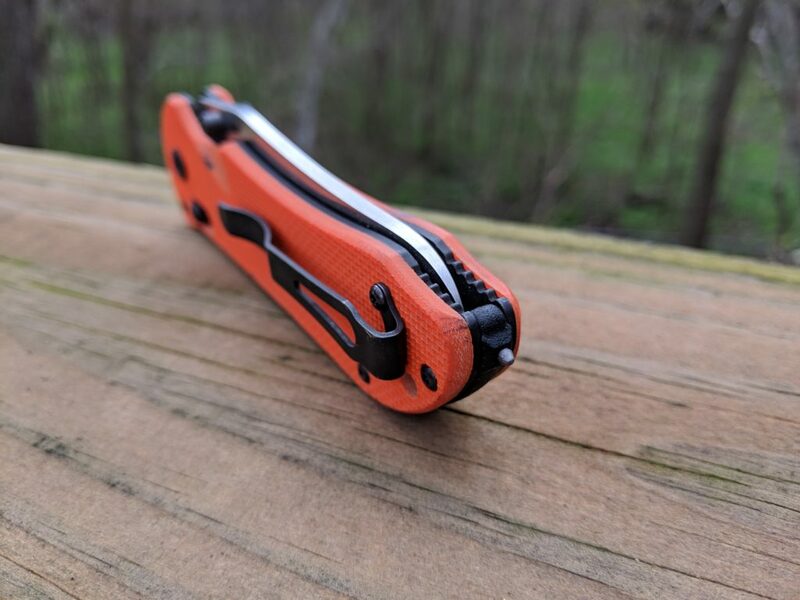 Their Axis lock provides a positive locking mechanism that keeps the blade open when you need it but allows for a nearly effortless opening motion. It also offers improved safety when moving to close the knife since your fingers are on either side of the knife instead of in the blade’s path. While the blade is really cool there’s a few more tricks at play here, the first being a “safety cutter.” This attachment is perfectly designed to cut through things like seatbelts if you’re trapped in a vehicle or clothing if you’re trying to assess a covered wound. The sharp blade is completely enclosed within the hook of this attachment so there’s no worry about unintentionally cutting things. Having tried this many times I can guarantee that it works as advertised. Easy to deploy, simple and effective to use, it cuts through seatbelts and blue jeans like a hot knife through butter. 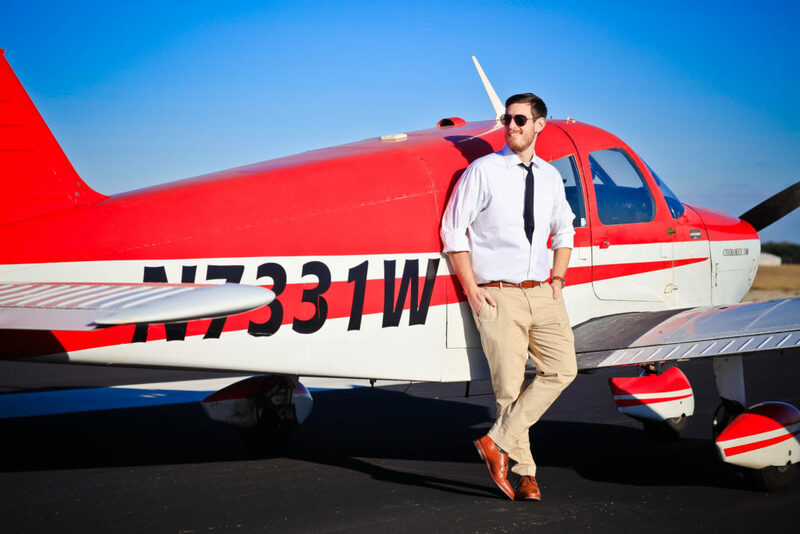 In the event that you need to get out of an airplane in a hurry and your seatbelt has jammed in the forced landing this is something that could definitely help set you free. On the back of the knife is a glass breaker attachment. Admittedly this isn’t very useful in most aircraft with their acrylic windows but it’s better than a sharp stick in the eye. What it could be useful for is breaking open your vertical speed indicator in the event that your static port gets clogged and the alternate doesn’t work either. Yeah, I’m grabbing at straws here, I know. 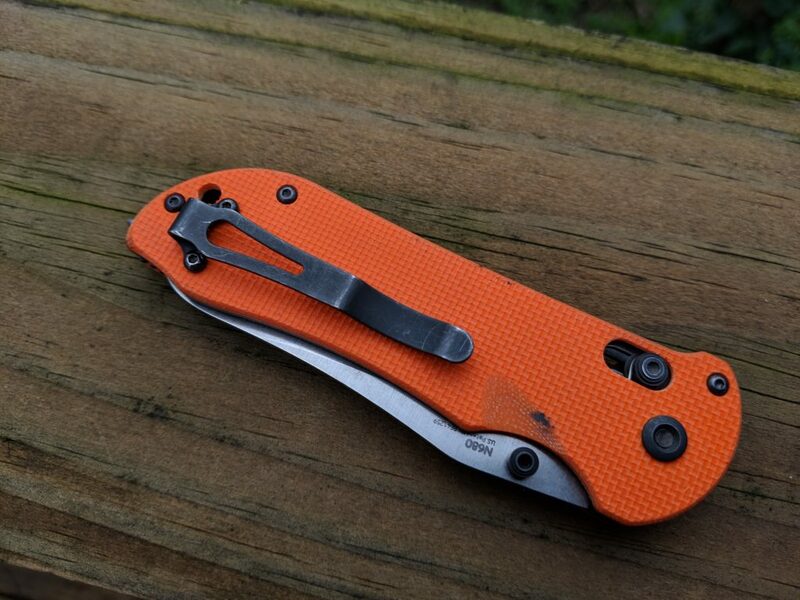 The knife is available with textured G10 scales on either side in a number of different colors. I chose the high visibility orange here but there’s also black available. It’s really easy to keep a grip on the knife even if you’re wearing gloves or your hands are wet. Lastly the belt clip is designed to work with thicker pants, like those with reinforced seams as you’d find on EMS station pants and tactical pants. Which is handy. I like it, and I carry this knife on every flight. In my opinion it offers some good capabilities just in case I need to escape from the aircraft in a hurry in addition to the usual knife based utility. There’s just one problem: they don’t make this knife anymore. Some online stores like Brownells still have the older version of the 915 available in the less popular black color, but I get the feeling that it’s only until the remaining stock is gone. 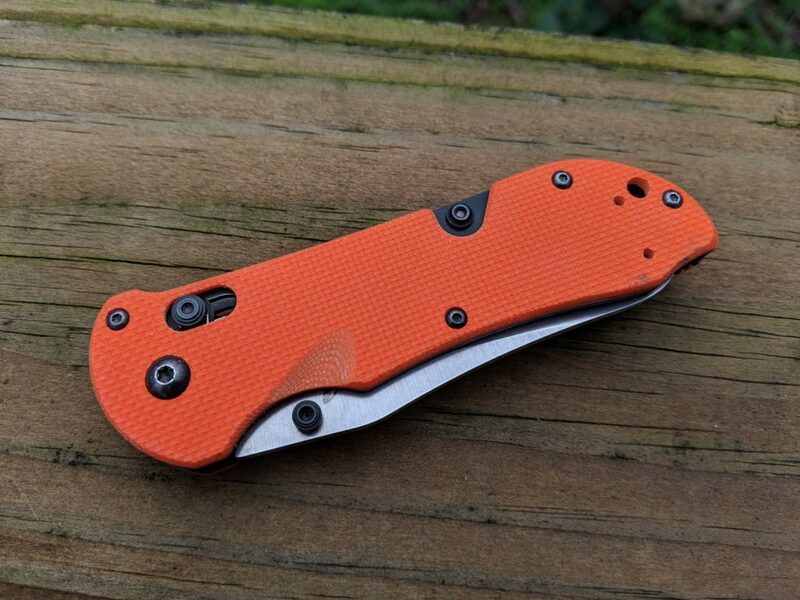 The closest you get for a current production knife is the Benchmade Triage 917 which has a serrated blade section, an even blunter tip, and only available with a black finish on the blade which I don’t like. Even so it’s close enough that it might be worth a look.